We worked together for more than a year on 3 different projects, most recently on the team developing the step by step navigation design pattern on GOV.UK. We know what user researchers do - after all, that’s our job - but what do service designers do? Service designers are interested in what users are trying to do, the service scope, service systems and processes, and the structure of the organisations that deliver them and user journeys through a service. How do service designers work? like research! Not only user research, but it could also be exploring service processes or metrics, desk or tech research. Service designers tend to have a strong user research background. If they’ve studied service design or worked in an agency they’ll have experience doing all the user research for projects, as well as the design work. But it’s not necessarily right for them to be doing all this by themselves. And it's not a good idea for designers to research and test their own work. User research is a full-time job, especially when working in agile. User researchers are objective and impartial which is important when looking for what does and does not work. The great thing is that we’re both interested in a lot of the same things and have complementary skills. So we should definitely be friends. As there’s an overlap between some of the things service designers and user researchers do, it means working well together requires good communication and collaboration. This also means finding out how to best work together. So we crowdsourced from other service designers and user researchers to put together our list of 5 things we do well together. The scope of research is very much tied to the scope of the service or product or piece of work we are doing. So defining together what questions we want to ask is really great to help figure out what we want to learn from research. The same is true when the work is scoping or rescoping a service. 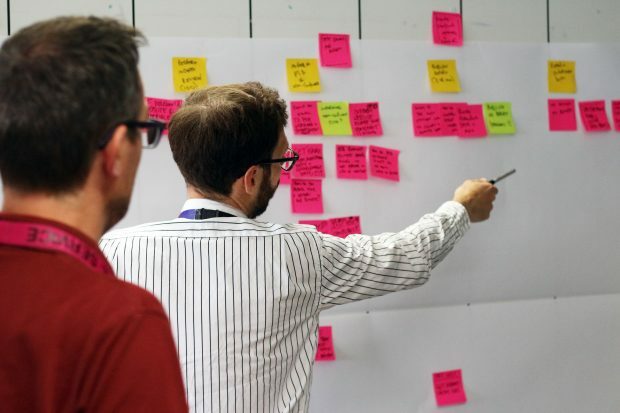 We make a good combination here: service designers help keep the big picture in mind and user researchers make sure the goals of the research are pragmatic – and we are asking things that can be answered. We’re also pretty good at keeping each other in check if one of us starts fixating too much on one thing. This is great when we’re figuring out how best to get the insights we’re looking for. User researchers will lead here, but service designers are excellent collaborators - particularly when designing the best tools for research. Service designers are often particularly good at making those tools work well and look good, which can come in handy - because if you give someone something well designed to engage with they take it more seriously. Above is an example of a research tool designed by a user researcher and designer on GOV.UK. 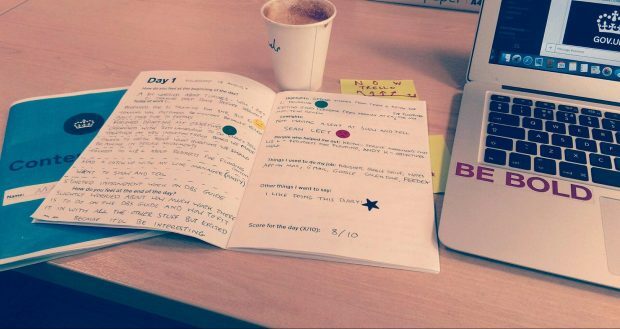 It’s a 5-day diary – a form of cultural probe – to help us learn about the day to day experience of content designers in departments who publish to GOV.UK. Through working together on it, the diary went from a list of questions in a Google document that users might have forgotten to fill in, to something they got really excited about doing. While user researchers take the lead on conducting research, service designers want to be there too – to meet users, listen to them talking about their experiences and increase their understanding of the problem space. From a user researcher’s perspective, it’s great having another reflective person to help extract findings from the research and build up that holistic picture of the thing you’re researching. It also helps service designers participate more fully in the research analysis, as they might see things from a different angle to a user researcher, which can lead to better insights. It also saves time communicating the findings back to design as they were there when the research took place. We use journey maps to spot the problems and areas to focus on. Building these together is a good way to explore and gain a shared understanding of the problem space. Working in this way also gives us a stronger voice with stakeholders and teams when scoping and prioritising work. Ultimately research findings must be made actionable for other stakeholders – both inside and outside of the team. This is something that’s easier to communicate when pairing. Service designers are good at visualising things. User researchers are good at pulling out the key findings to focus on and telling the story. When we work together designers can help visually communicate our message, bringing clarity and presenting it in an engaging way that leads to action. We’ve also found that within a team structure, having 2 voices instead of one is particularly powerful. If you’ve both been part of the research and analysis you know what needs to be prioritised - and can jointly champion this. 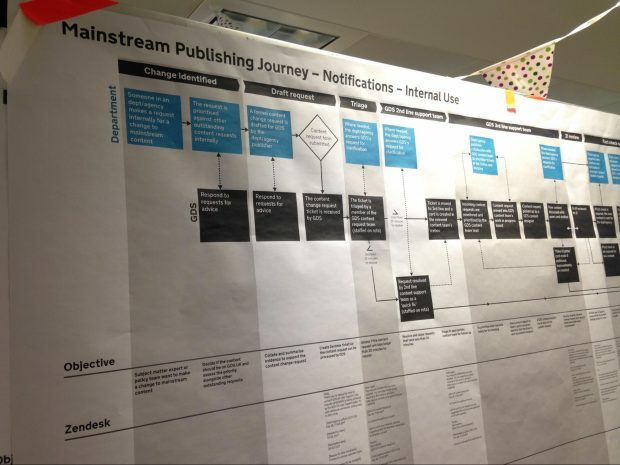 User journeys, process diagrams, service blueprints… in other words, mapping. We’re good at doing this together as we’re both interested in figuring out how things work and how it impacts on the user experience. And the overlap of our interests is particularly apparent in things like user journeys. and the things going on behind the scenes to deliver that experience - that is, how the service and all the other bits and pieces work. In a discovery, we look at these 2 things - but while some might be focusing on the user’s experience, we’re focused on the structure of the service that supports it and the journey map is where those insights come together. Given the number of overlapping roles that user researchers and service designers can have, it can take a while to get into a rhythm as a pair. This will vary depending on your experience, team context and personalities. As with the rest of your team, figuring out how you work together and deciding who will lead pieces of work will not come instantly. However, whilst we’ve definitely had our moments at the start, we’ve built up a working relationship that has helped support each other to do some really good work. 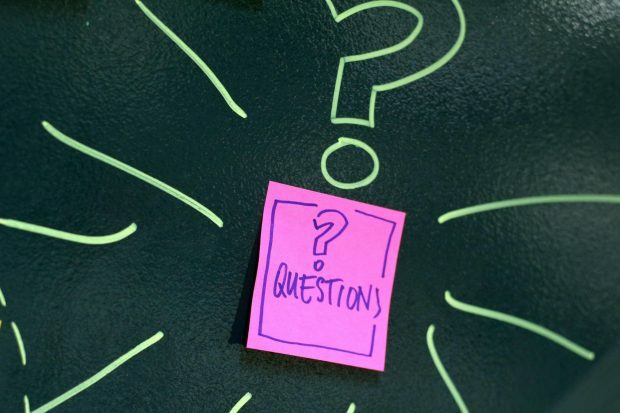 We know that great things happen when service designers and user researchers work together at GDS - we'd love to hear about your experiences in the comments.